Pinecam.com • View topic - Are there still any grizzlies left in Colorado? Are there still any grizzlies left in Colorado? Post subject: Are there still any grizzlies left in Colorado? I am on a FB group where a couple people swear they've seen grizzlies in Colorado, specifically in remote areas of the San Juans. Many people confuse light colored Black Bears for Grizzlies, but a couple of these people seem to know what they're talking about. The last documented grizzly bears in Colorado was a female (with cubs) killed in 1979 (San Juan Mountains) when the female attacked at bow hunter. Prior to that, the last sighting in Colorado was in 1952. People continue to report grizzly bears sightings in the San Juan Mountains and the Bosque del Oso area, but like bigfoot sightings, none can be documented. What do you think? Any chance we could still have any? What do you think about reintroducing them to Colorado? 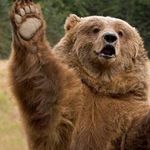 Post subject: Re: Are there still any grizzlies left in Colorado? Last known Grizzly was killed in 1971 or 1972. I have read here and there about unconfirmed sightings but I am aware of no known, confirmed, Grizzlies in Colorado since 1971 or 1972 (can't remember exactly when) That last Grizzly was killed in southwest Colorado, I think, somewhere around Wiminuchi (spelling ?) Wilderness area. If they were reintroduced it sure would change the recreational landscape of Colorado. "We" would no longer be the sole occupant at the top of the food chain. I've hiked and camped in the Tetons and Alaska. Its a completely different experience when you know there's a real possibility of a Grizzly encounter. Unnerving would be a good description. Bye bye carefree attitude and solo hikes. Hello .357 Magnum. Just payed closer attention to that range. It seems a little bit off as there are plenty of Grizzlies in Glacier National Park further north than on the map here. I would love to see them back in Colorado, that would be cool. I know the Department of Wildlife will not reintroduce wolves but I don't know their stance on Grizzlies. There are 25,000 Grizzlies in Canada including Alberta and BC's Rockies. They'd be a lot taller if they didn't have so much tucked under on the bottom. I haven't seen one here but I saw one in MT. Stopped at a rest area somewhere south and east of Missoula on I-90. I saw a bunch of people looking at something across a river about 70 or 80 yards away and it was a grizzly. Very impressive, even from that distance. I was thankful to have the river between me and him. I have a friend that lives near Grant who swears he saw a grizzly some years ago somewhere off County Rd 62 near Guanella Pass. I'm skeptical but I suppose it's possible. I "think" I saw a wolf the first winter I was here...but not nearly sure enough to say so. It was east of Weippe just on the edge of the wilderness area. As mtree stated, it is a very different experience hiking in areas with Grizzlies vs Black Bears, a whole different level of preparedness and awareness is needed when hiking. As magnificent as Grizzlies are, I am perfectly happy not having to worry about them in Colorado. It was even different hiking in Custer State Park and running into 2000 lb Bison. The South San Juan is huge, and coupled with the remoteness of Northern New Mexico and the Weminuche Wilderness, it's an ecosystem the size of Yellowstone. I believe there is a lot of room there for a few grizzlies to still be hiding. Before the 1979 incident, it was thought that the last grizzly was killed in 1951, so it was a bit of a surprise that Ed stumbled across one in 1979. I think it's a testament to how wild some parts of Colorado still are, and how persistent wildlife is despite all the people. Some people believe that if 25 years passed between sightings back then, then a very small number of bears could remain undetected in a vast wilderness for decades. There are a couple of message boards where sightings are regularly discussed by hunters and other crusty folks who spend quite a bit of time in the backcountry. 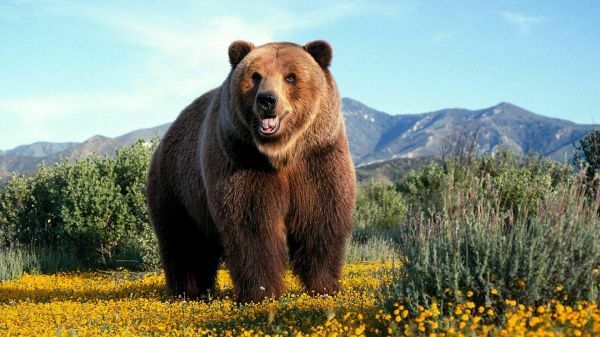 It is true that some people confuse large brown-phase black bears with grizzlies. But there are some very knowledgeable folks who swear they do exist. 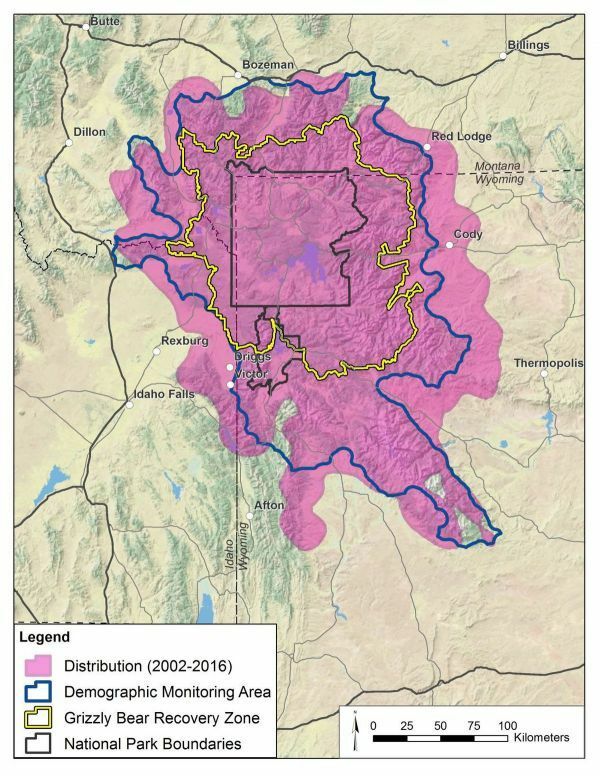 Folks also say that Colorado Parks and Wildlife privately acknowledges there is a very small, genetically isolated remnant population, but they don't want the oppressive changes caused by the Endangered Species act to upset the delicate balance of wildlife, wilderness, grazing and hunting that has persisted in Southern Colorado for generations. It's all very fascinating to me ... almost on par with Bigfoot lore. 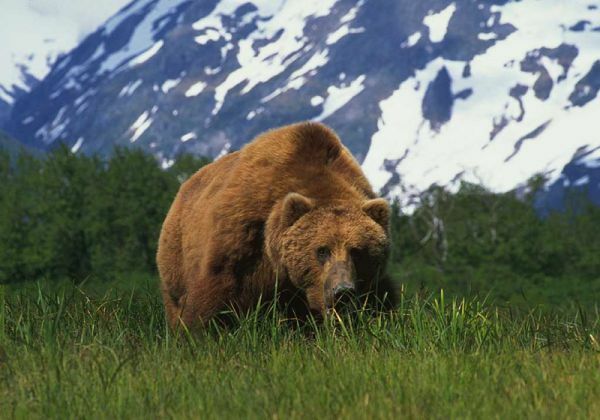 If these remnant grizzlies do exist they would be the most genetically unique, isolated and endangered animal in North America, and have evolved to be extremely reclusive. I for one hope they are still here. About 20 years ago, I saw a bear in Southern Colorado that resembled a grizzly, but I am not certain that it was. Then several years ago, I went to my neighbor's house here in Conifer to feed their horses. The horses were upset, snorting and staring off in one direction. Seventy-five feet from me was a sandy colored bear digging ants out of a rotten log. I froze in place. Observing the bear, I saw that it did have the typical high shoulders of a grizzly. When it finally lifted its face from the log, it was clearly a grizzly. It never saw me, and left, going around the house and towards the National Forrest which is across the road. No camera, no documentation. I do know my wildlife, and I know what I saw. It was not a cinnamon black bear. That's a pretty amazing story. I often think that there are 3000 - 7000 mountain lions in Colorado and sightings are pretty rare. If Colorado had a remnant population of a couple dozen grizzlies it would be an extreme rarity to spot one. I think they could easily move about undetected. As populated as Colorado has become, you get a few miles off any major road, it's still pretty wild out there. I'd be curious to see what Dean aka WildlifeServices has to say and if he has any stories.